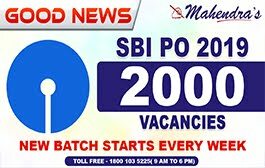 SBI has released 8301 vacancies for the recruitment of junior associates (customer support & sales). The preliminary exam is expected to be held in the last week of March or in the first week of April while the mains examination is scheduled to be held on 12th May 2018. 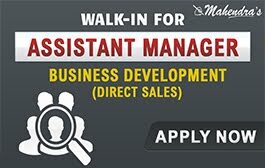 This is a great opportunity for all the aspirants of banking exams and all of you must start your preparations now. So, today we are here with some important tips and strategy that can help you in cracking the exam. The prelims exam will consist of three sections - English Language, Numerical Ability and Reasoning Ability and there will be a timer of 20 minutes for each section and the composite time for the exam will be 1 hour. There will be 35 questions from Numerical Ability and Reasoning Ability each and 30 questions from English section. So, while preparing for your exams, you should firstly focus on some basic things. Let us discuss these basic things before the subject-wise strategy. 1. Speed- As the prelims exam will also have a sectional timer, the first thing you should focus is the speed. Although the sectional cutoffs have been removed from the SBI exam, you must maintain a desired speed in the exam so that you can attempt maximum questions. However, this speed can only be achieved through regular practice. 2. Be Careful while attempting Questions- As you will only have 20 minutes for each section, you must be careful while attempting a question. You must be able to select the right question so that you don’t lose any time in solving questions. 3. Practice and Shortcut tricks- The main thing to focus for the exam is practicing because perfection can only be achieved through regular practice. 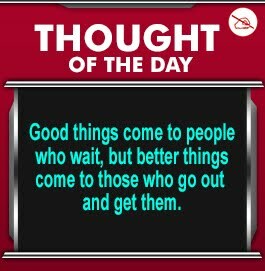 All the aspirants should practice more and more questions on exam pattern. 4. 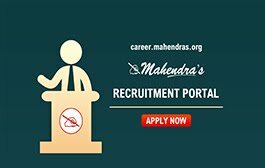 Self-Analysis – All the aspirants should attempt maximum mock tests based on the actual exam pattern. These mock tests provide you the insights of the actual exam. Moreover, these mock tests also provide your rank among various students. 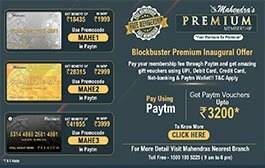 These tests will help you analyse your preparations. 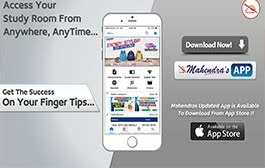 Various speed tests are available on Mahendras Speed Test Portal. 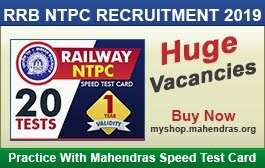 You can also buy various speed test cards at myshop.mahendras.org. 1. General Awareness- This can be the most scoring subject in your exam, you just have to be aware of the latest happenings. The mains exam will have 50 questions from General Awareness section with a timer of 35 minutes. For this section, you must follow the daily news, you must be aware of current affairs and should have basic financial awareness. The financial awareness will include basic banking terms, acts, etc. Other than this you should focus on static awareness like Dams, Currency and Capitals, Stadiums, National Parks, sanctuaries, Airports, important days, etc. 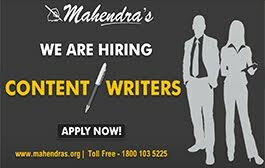 STUDY MATERIAL: You can easily find the latest news on Mahendras Enews portal – enews.mahendras.org. 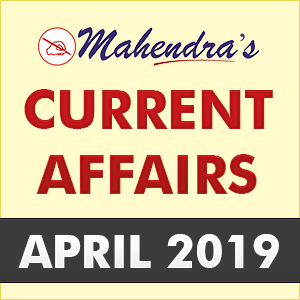 You should also follow our Daily Current Affairs Live Video on our official YouTube channel – Mahendraguru. You can also find various videos on static as well financial awareness. 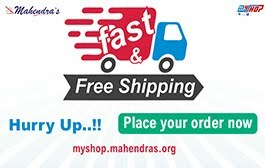 You can buy speed tests at myshop.mahendras.org. 2. Quantitative Aptitude- This section will include 35 questions in prelims exam and 50 questions in the mains exam. The time for the section in mains exam is 45 minutes. This is a section which requires more and more practice. You must clear your basic concepts to clear this section. This section will include questions from Data Interpretation, number series, inequality, Simplification & approximation and miscellaneous sections. You should practice topics like number series, inequality very well. Practice at least 10 questions daily. However, you must clear concepts of each chapter to excel in this section. Important Tips: Learn tables up to 20, squares up to 50, cubes up to 30 and fraction-percentage conversion and revise them daily. 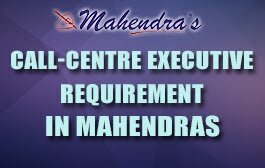 STUDY MATERIAL: You can find all the concepts in Mahendras Quantitative Aptitude Book. 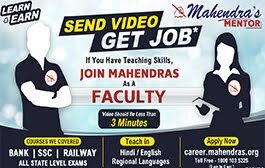 You can also get special tricks and shortcuts of the subject on our official YouTube channel – Mahendraguru. 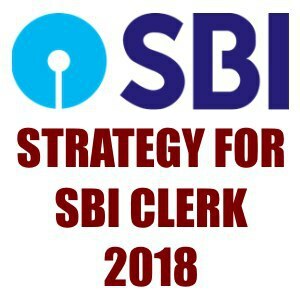 We have started special classes for SBI Clerk exam. 3. Reasoning Ability-This section will include 35 questions in prelims exam and 50 questions in the mains exam. The time for the section in mains exam is 45 minutes. 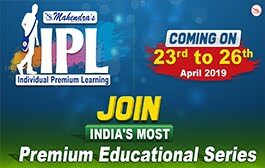 This section can help you in scoring more marks as the section has many questions that are of 2 marks, attempting those questions will definitely help you in scoring well. This section will include questions from Sitting arrangement, Puzzle, Inequality, Alphanumeric series and miscellaneous questions. You should practice daily, you should select one topic at a time and clear all your doubts in the topic. Important Tip: Practice puzzles daily with a timer. 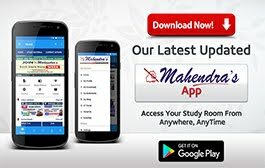 STUDY MATERIAL: You can find all the concepts in Mahendras Reasoning Ability Book. 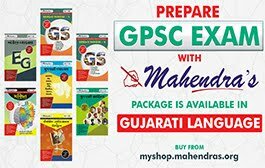 You can also get special tricks and shortcuts of the subject on our official YouTube channel – Mahendraguru. 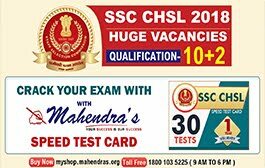 We have started special classes for SBI Clerk exam. 4. English Language- It is a section feared by many candidates. This section will include 30 questions in prelims exam and 40 questions in the mains exam. The time for the section in mains exam is 35 minutes. This section will include questions from Reading comprehension, cloze test, Para jumbles, Spotting errors, fillers, etc. Only more and more practice and reading can help you ace this section. Important Tips: Read an English newspaper daily and write down the meanings of difficult words and revise them daily. 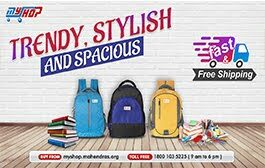 STUDY MATERIAL: You can find all the basic rules in Mahendras English Language Book. 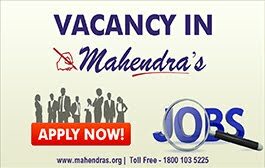 You can also follow Our Official YouTube channel – Mahendraguru for videos in the English Language. We also provide a special show ‘The Editorial Times’ for improving your vocabulary. 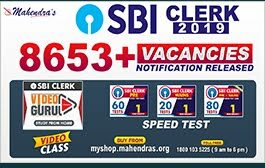 We have started special classes for SBI Clerk exam.